Considered the most cooperative of the 9 numbers, the 2 is often the most underestimated. At least when it comes to power and strength. Known as the peacemaker, the 2 is almost always gentle, tactful, diplomatic, forgiving, and non-confrontational. However, the shape of the 2 gives us a clue to its resilience and ability to survive. This symbol, as if bowing in servitude, could easily be perceived as weak and powerless. But when the humble 2 is under attack, even burdened by a crushing weight, its flexible nature allows it to bounce back quickly. This is in stark contrast to the power and pride of the bold 1, who is unlikely to back down. The competitive, bold, individualistic nature of the 1 makes it strong, but its rigid posture can shatter under prolonged pressure. People in leadership positions (often individuals with a well-positioned 1 in their chart) recognize the value of their calm, thoughtful friend. The 2 is often the true power behind the throne. The 2 understands the underlying motivation driving the people around them. This ability helps them navigate divergent opinions and ideas, giving a little here, taking a little there. Many psychotherapists, skilled at reading human nature, have a strong 2 in their chart. Number 2 people, patient and unassuming, do not always get the recognition they deserve but they tend to hold a special place in the hearts and minds of those who know them. The number 2 is recognized for its grace, sophistication, style, and taste in art and music. Dancers often share this number due to its inherent sense of rhythm. In social environments, the 2 is a good conversationalist with a witty, self-depreciating sense of humor (never slapstick or juvenile as they are too sophisticated for that). If the Greek god Zeus could be compared to the number 1, then his wife and sister Hera would represent the number 2. And like Hera, the number 2 can be jealous and mean-spirited when others reach for something it covets. As gentle and loving as Hera is much of the time, another side of her emerges when she feels mistreated - a side that can be vengeful, cruel, and unrelenting. The number 2 can also be critical and verbally abusive, with bouts of bad temper (for trivial reasons… for extended periods of time). Normally skilled at negotiation, emotional periods can find the 2 exhibiting illogical reasoning, making verbal arguments feel like slicing water with a knife. Quarrels often stem from the hurt feelings of this overly sensitive number. As a partner, the number 2 is an invaluable asset. Ready to defend you at any cost, the loyalty of the 2 is unshakeable. However, this partner can be emotional and demanding, expecting attention (and devotion) in return. In short, the number 2 is a sensual, graceful, loyal partner who can be a bit demanding, but is worth the trouble. There is another important aspect to the number 2. 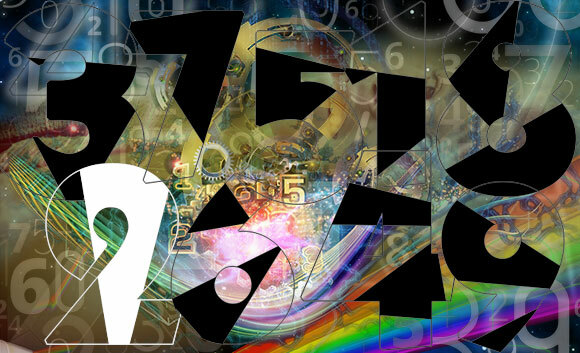 As the most intuitive of all single-digit numbers, the 2 has keen powers of observation. This faculty helps them recognize the inner needs of people around them, often helping others to understand themselves better. The intuitive 2 is often drawn to the occult - only the double-digit 11 surpasses the 2 in that department.